Here is the key to discover the size “range” of CATTY products. 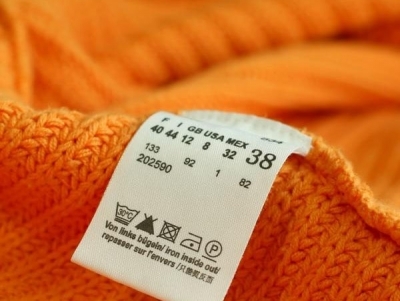 Do you know the meaning of the labels and symbols attached at your clothes? To properly maintaine the quality of your clothes and to keep them looking as new, you should know the signs and markings on them. And what is more important is to pay attention to them and respect them. Here are some of the most commonly used symbols when wash, iron and spin your favorite clothes. Max washing (water) temperature of not more than 30 degrees Celcius. Max washing (water) temperature of not more than 30 degrees Celcius, at Delicate Program. Max washing (water) temperature of not more than 40 degrees Celcius. Max washing (water) temperature of not more than 40 degrees Celcuis, at Delicate Program. Max washing (water) temperature of not more than 60 degrees Celcius. Higher temperatures allowed. Iron at temperature of 150 degrees Celsius. Iron at temperature of 200 degrees Celsius. Care when using the centrifuge. Dry at cool temperatures and at programs with short timing. Normal drying with the centrifuge. Only professional dry cleaning is allowed. In general, cotton does not require much of a special care. You can safely wash in the washing machine, having previously carefully check what programs running clothes. Ironing cotton is not problematic. Before you wash your favorite silk dress, make sure that the colors are fixed well. Use a piece of clothing or a place that is not visible. Soak it and place it on a piece of white cloth. Ironed. If a piece of white cloth no spots, then you can safely wash silk in the washing machine on a delicate program. If you're still afraid something happens to matter, you can wash by hand in lukewarm water. Before you wash, check marks on the label - what is allowed and what's not some wool fabrics can be washed in the washing machine on a delicate program, while others are only for hand washing. After washing them in the bathroom for 24 hours to allow the steam, the fabric to flatten herself. It is one of the most delicate fabrics. Knitted cashmere garments feel free to wash by hand with a mild soap or shampoo. Wrap in a towel to rob the water and leave to dry on a hanger. Stains can be removed with a quick soak in cold water. Warm just fix them. Clothes made from this durable, synthetic material may be placed in a washing machine in almost all cases. Necessarily add fabric softener when washing. Be careful while ironing - Set the iron on medium or low temperature. Denim needs special care to maintain the color, especially if it is dark. It is not impossible to wash your favorite jeans in the washing machine, but must set it to the lowest temperature and use a gentle detergent materials. If you are in the oven, reset to the lowest temperature. There are several different variants thereof - silk, polyester crepe and chiffon. And they all have specific operating instructions. Silk chiffon and crepe chiffon are a little more delicate as fabrics and laundry and drying them is more specific. Polyester chiffon can be hand washing and ironing - never too with a hot iron. The fabrics of taffeta to keep water as it can leave permanent stains. You can use the services of a dry cleaner. Never hungry with steam. This specific fabric also has variations. Feel free to wash in the washing machine. It is not recommended to iron. The better option is to leave the garment to dry in the bathroom, where it is wet. It is recommended that more and more delicate laces can be washed by hand. If you do decide to wash a washing machine, use a gentle detergent and water students. To avoid burns and damage to the fabric - do not put in dryer.